Toronto Saxophonist Chris Robinson is a veteran of the Canadian jazz scene. Tenor, soprano, alto saxophone and clarinet are his horns and he plays in a modern but lyrical style. His first CD “Pleased to Meet You” released in 2002 was voted in the top 40 CD’s of the year by Canada’s Jazz station 91.1 CJRT FM. His most recent recording with The Gene Poolboys “A Child is Born“ is currently enjoying extensive airplay on 91.1 Jazz FM. Chris has been performing regularly every Friday evening at the Drake hotel with pianist Richard Whitehouse and Wednesdays at the Reposado bar with his trio. 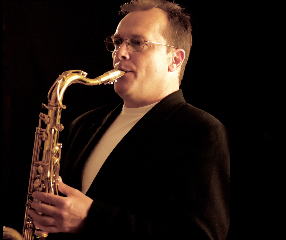 Chris has performed with Peter Appleyard, Bernie Senensky, Oliver Jones, Neil Swainson, Marcus Belgrave, the Canadian Jazz Messengers, and The Benny Goodman Alumni Orchestra. He recorded on Justin Time with the Oliver Whitehead Quintet and was nominated for best jazz album at the 1985 Juno awards.